February 2013 – Would You Like a Second Chance? Welcome to Elated’s February Newsletter. It doesn’t happen all the time, but when life gives you a second chance every second counts. There is no time like the present to turn your life around by choosing compassion and justice for animals. 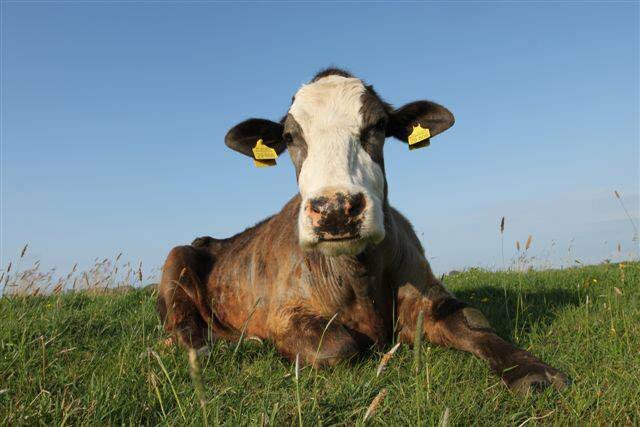 How Gisela Survived The Dairy Farm – Gisela worked for 16 long years on a dairy farm. During this time she gave birth to 14 calves and lost them all. She was rescued just before being sent to slaughter and went to live at a sanctuary where she got her first chance to raise a calf, Mattis. Every Second Counts – Every day more than 170 million animals are killed for food. Do you find it hard to conceptualise the sheer magnitude of this number? Take a look at this cartoon graphic. Animal Musings – A gifted narrator can often communicate animal sentience far more effectively with a little artistic licence. Here is a selection of poems. 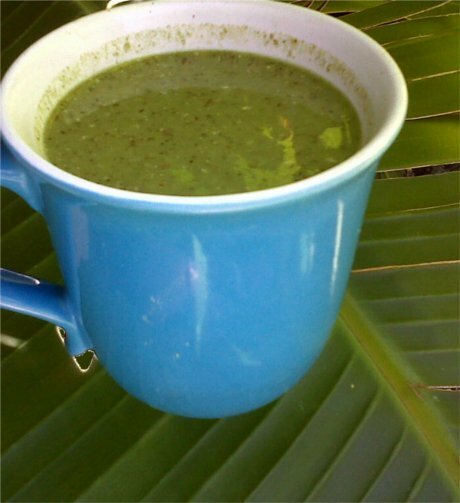 Essential Early Morning Green Smoothie – This essential mix is the best way to start your day. It is simple to make with a nutty taste and packs a power punch. Vegan Parmesan – Is there something missing from your pasta? It is probably the pungent flavour of parmesan. Grind up this quick recipe from Meaghan ‘The Wicked Good Vegan’ to satisfy your umami craving. Vegan Friend Me – Are you looking to expand your vegan support network? Join in the regular ‘Vegan Friend Me’ sessions to make 100’s of new vegan friends from around the world and in your home town. Bella Vegan Café – has opened its doors and is already a favourite meeting place for vegans in Muizenberg. Jen’s inspirational dishes range from Buckwheat Tiramisu Pancakes to Split Red Lentil Dahl with Roti and Coconut Cream. Bolo’bolo Anarchist Infoshop and Vegan Café – Will you be in Observatory on Saturday 2 March? Be sure to join in the fun at the launch party. Try a delicious dark chocolate cherry ganache cupcake, join a jam session or discuss how to put the world to rights. Vegan Society-Durban: Summer Planning Party – All Vegans from Durban and KZN are invited to attend an informal get together on 2 March. A great chance to share resources, get connected, enjoy good food and better company! Thank you for caring, for sticking around and for making choices that improve the lives of animals, are beneficial to your health and are in harmony with the world around you. You are welcome to get in touch with us if you have any questions or suggestions.